At the end of June Maxine and I headed off for our annual visit to Berlin to see our eldest. For once, I got the travel arrangements right. Berlin was hit by torrential rain for much of the day, and the U-bahn was closed in places, as shown briefly below. As we were arriving late, I pre-booked a car into town. 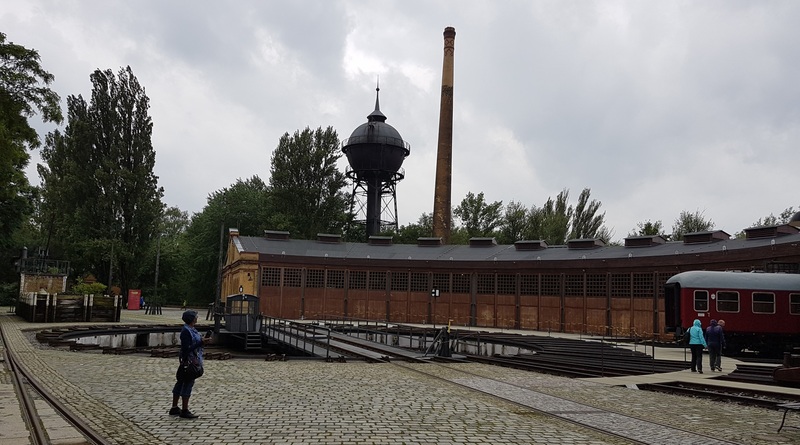 Amazingly, EasyJet arrived in Berlin on time (many flights were running late that evening) and having run from airport terminal to car in the downpour, we were whisked into town in comfort. The weather progressively improved over the weekend, drying up on the Monday in time to sit on a bench in the sun outside the airport, whilst waiting for the return flight. 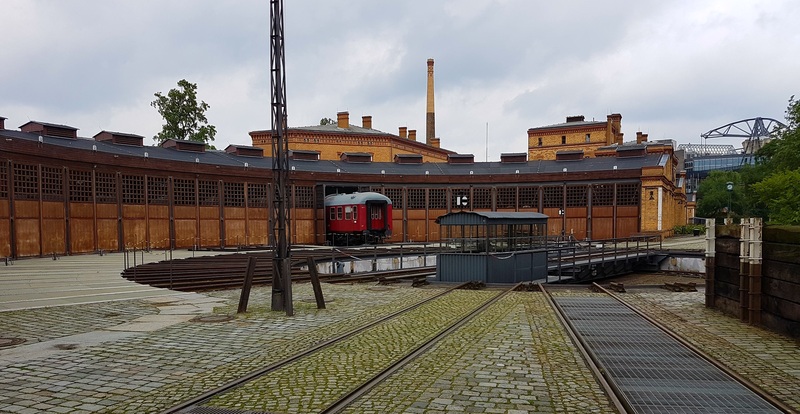 On the Friday, I had romantically suggested to Maxine that we celebrate our 38th wedding anniversary with a trip to the Berlin Technology Museum (and the trains.) Perhaps one reason we are still together is that she agreed…. So it was off on the U-bahn U9 line. Outside the museum was the nearby U1 line. 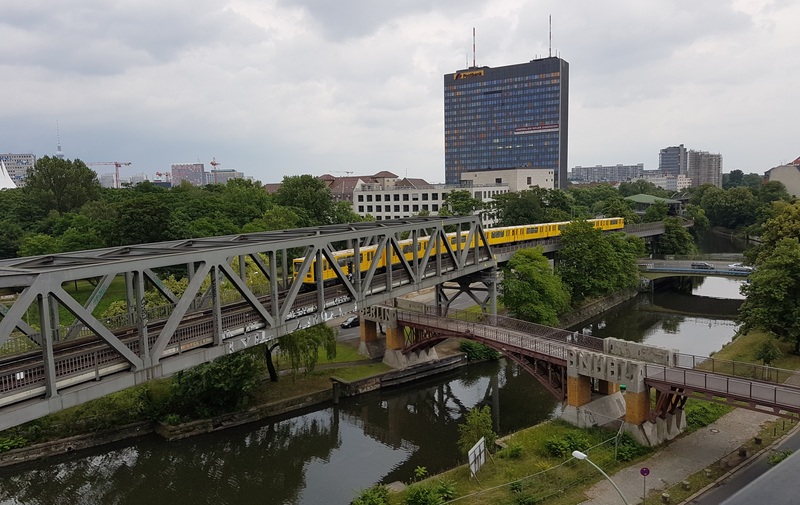 The combination of elevated yellow trains and the canal is most photogenic, with some interesting bridge work. And the line disappears through the middle of this building. 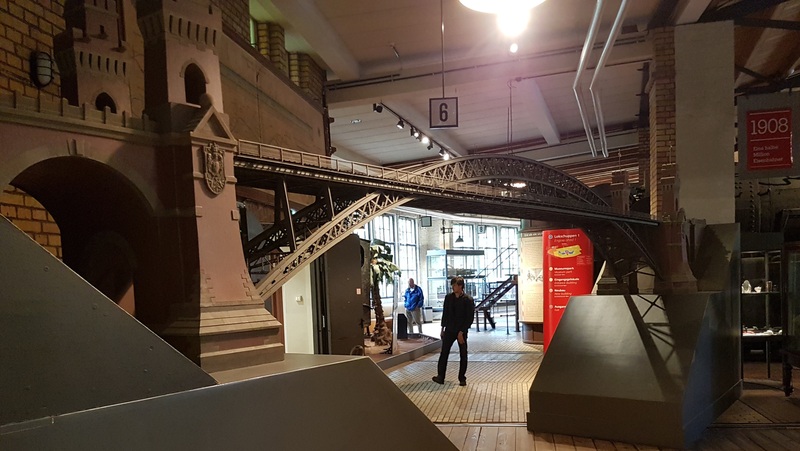 Inside the museum, the entrance to the railway section is through the entrance to the old royal station that was once nearby. And between these classic beauties. 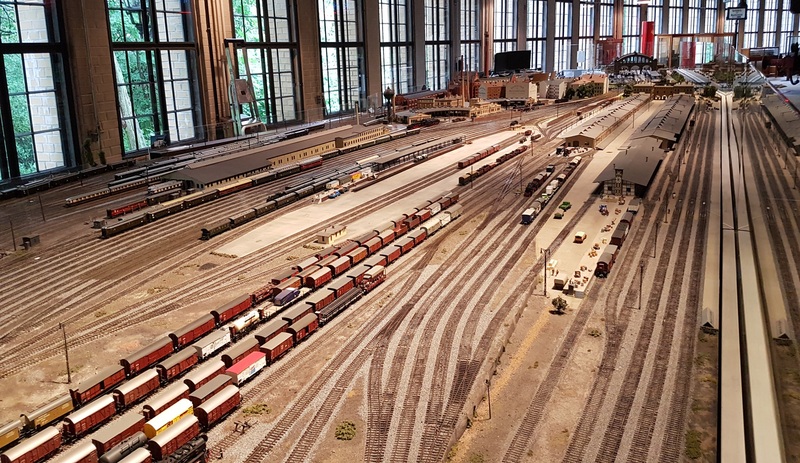 Another modelling challenge for your station? Perhaps using a set of Noch’s slightly less dubious ‘HO’ figures? 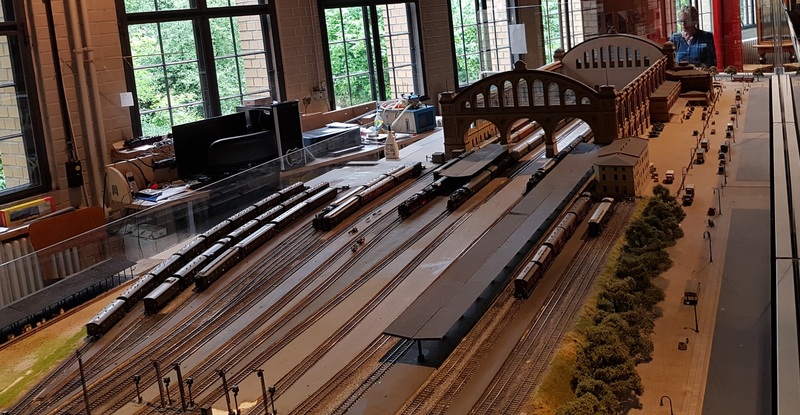 The railway exhibits are in a pair of roundhouses – worth seeing in their own right, with the turntable, water cranes and coal stage preserved outside. I was able to tell Allan that I had visited ERIC! Between the two roundhouses is this administration building. Railway brick buildings seem to be most attractive designs, wherever they come from. 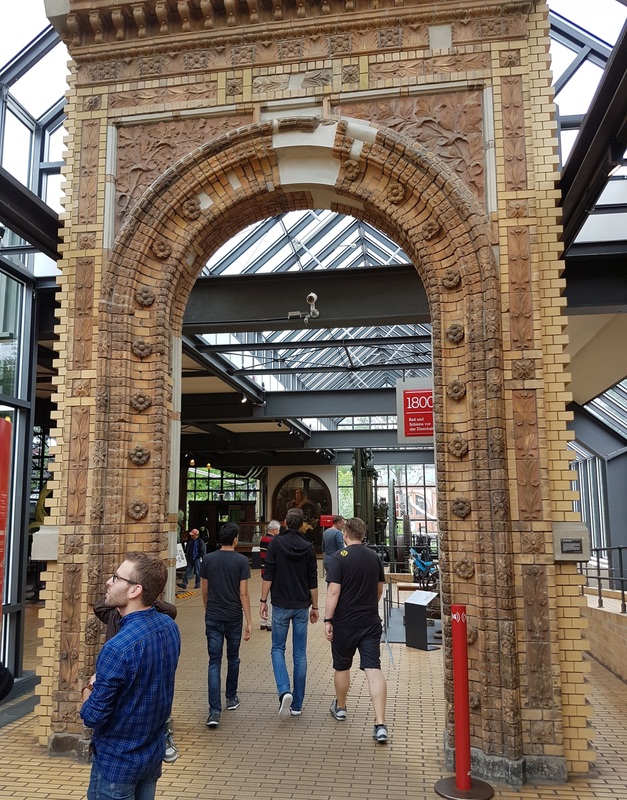 Neat, symmetrical, and with good brickwork and interesting details. Inside, there is a large ‘HO’ model railway. It wasn’t operating when we visited, but seems to have computer (DCC?) control, and there are extensive storage return loops to the left of this photograph. 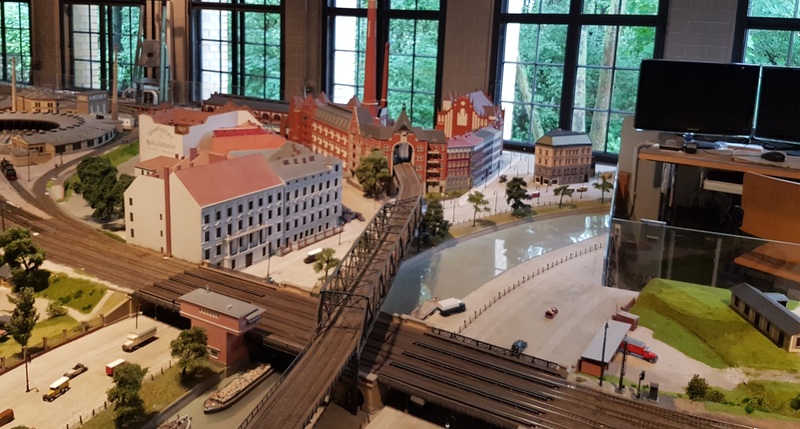 Closer examination showed this layout to be a fine model of the museum location in pre-war days. Below, we see the two roundhouses and the offices. 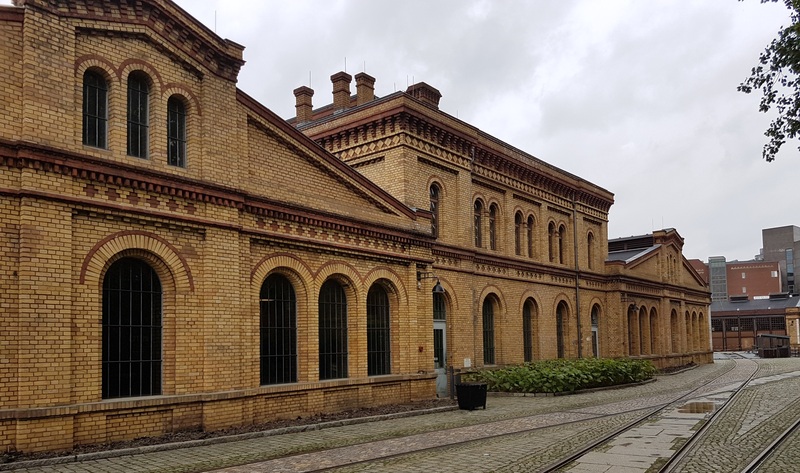 The long building in the foreground was the goods shed, and is still part of the museum. The main lines and sidings between have now been greened to become an attractive wild garden and woodland. 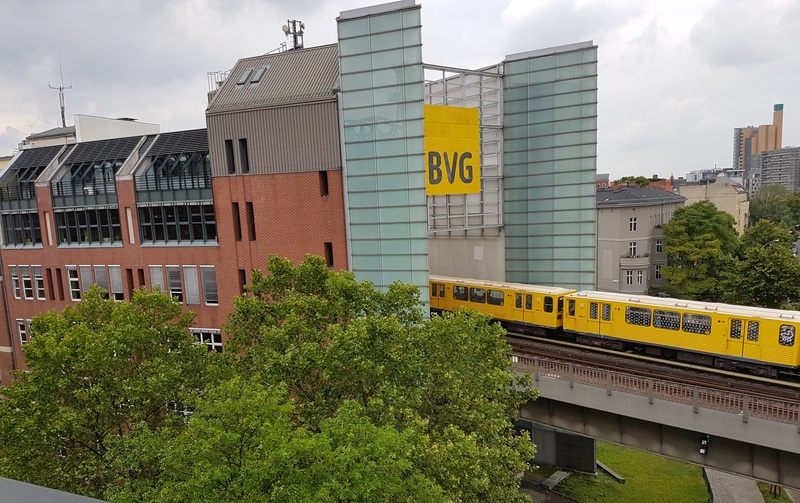 Here we see where the U-bahn goes through the building, although only parts of the original building remains – perhaps as a result of wartime bombing? 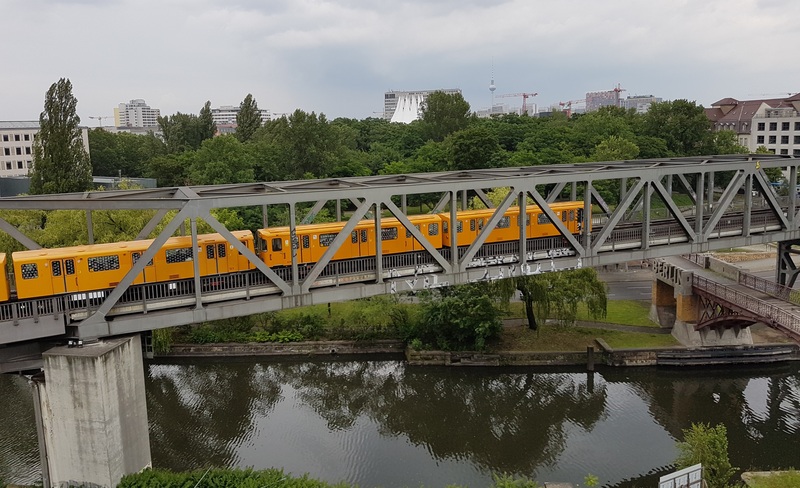 The main lines crossing the canal have all gone, and been replaced by the footbridge seen in the U-bahn pictures above. All this station area has been redeveloped. And a view down the layout shows the operator’s position to the right, and the storage loops in the distance. And finally for today, a fine model of a cross-border rail bridge. Perhaps this would be more interesting for the Stuttgart N-club meet, to replace the helix??? Next post, we’ll look at the trains themselves. This entry was posted in Inspiration, Out and about, Prototype and tagged Berlin, inspiration, prototype, railway. Bookmark the permalink.